Driving on 65 toward Branson, it’s easy to miss the turnoff for Bonniebrook. There are plenty of billboards to shock and distract and you with the news that Andy Williams is somehow still alive and that Yakov Smirnov is somehow still culturally relevant. Bonniebrook’s signs aren’t as flashy. But if you pass them, you’ll be missing out on one the best attractions the Branson area has to offer. Rose O’Neill, it seems, has a dual legacy. Nostalgia-drunk Kewpie collectors want to see her as a maternal figure, a crafter of wholesome childhood memories. And, truth be told, she was… But she was also a worldly, hard-partying, Bohemian. Her other creative work ranges somewhere between the Surreal and the Risqué. Reconciling these two Roses is no small task, and it falls squarely on the shoulders of Bonniebrook. 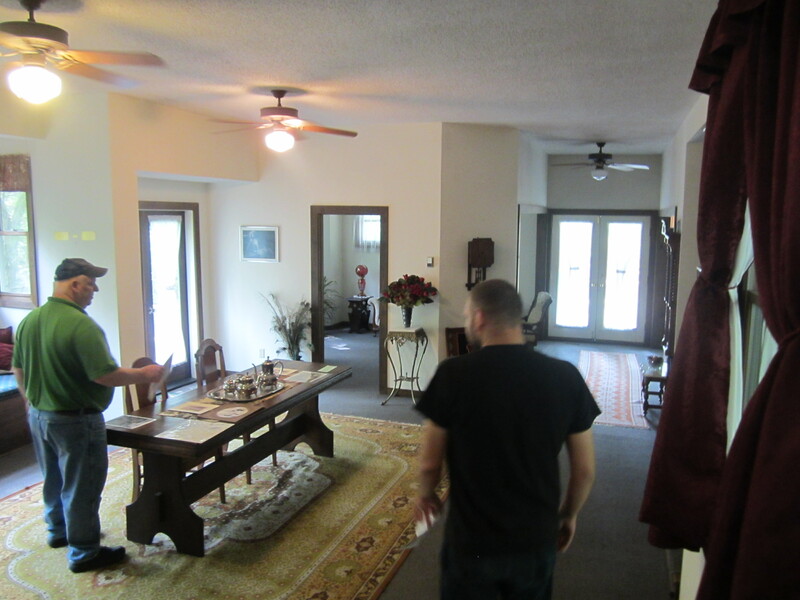 As Larry takes us through the home, he points out furnishings that once belonged to Rose. “A lot of this stuff is just from the time period,” he says, “but a lot of it is furniture that Rose gave away to local people.” Rose, who earned a fortune from her work as a magazine illustrator, had a generous streak. She bought one of the first telephones in Taney County. Then, finding she had no one to talk to, she bought several more for her neighbors. 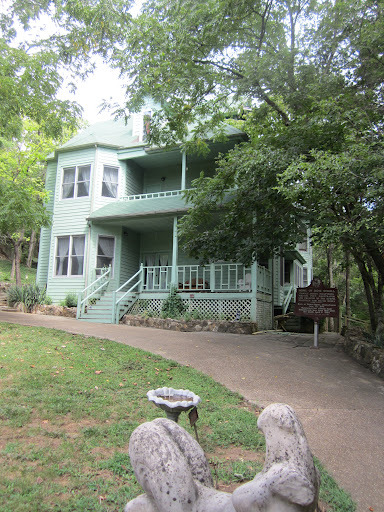 Others photos depict Rose’s house-guests, artists and poets who would stay on indefinitely. One of them is wearing a toga. Rose turned Bonniebrook into an early sort of commune. The Ozarks inspired her, and she wanted to share that with others. One of the high points of the tour is stepping out onto the balcony. After going through the Kewpie memorabilia, Susan turns us loose in the gallery of Rose O’Neill’s artwork. The historical society owns many of Rose’s early illustrations, including some she made for the Woman’s Suffrage movement. In one, a belligerent father turns on his cowering young daughter. “A woman’s place is in the home!” he shouts. Behind them, at the window, dozens of astonished and disgusted Kewpies look on. The gallery moves into Rose’s later life, and her Sweet Monsters. Having stared into the trees outside Bonniebrook, it’s hard not to see Rose’s imagination at work. 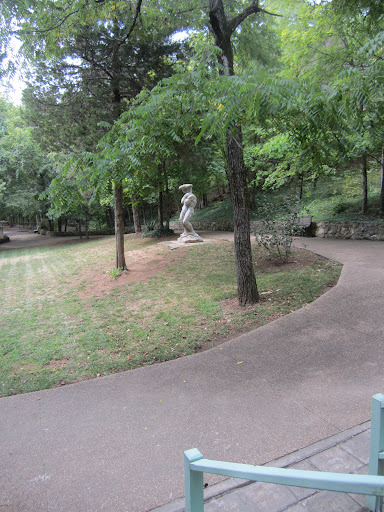 The deformed human figures, with cartoonish trolls lurking in the background, precisely capture the uneven, gnarly nature of the Ozark forest. When we leave Bonniebrook, it’s in a state of elation. It’s so refreshing to see a historic site about a woman– that’s actually about the woman. In Rose O’Neill’s case, it would have been easy to sidestep her life, in favor of the Kewpie, her product. But instead, they chose to focus on who Rose really was. Bottom line: Andy Williams can keep crooning softly to himself. When we take our daughter to Branson– to reminisce about the Good Old Days– we’ll take her to Bonniebrook.